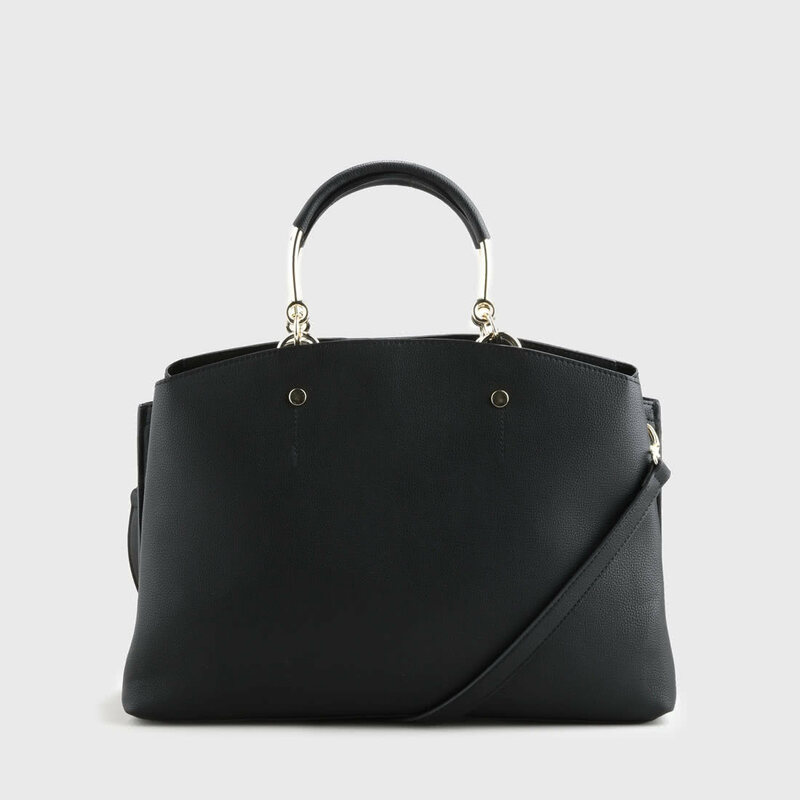 Are you still looking for the perfect bag for the office? 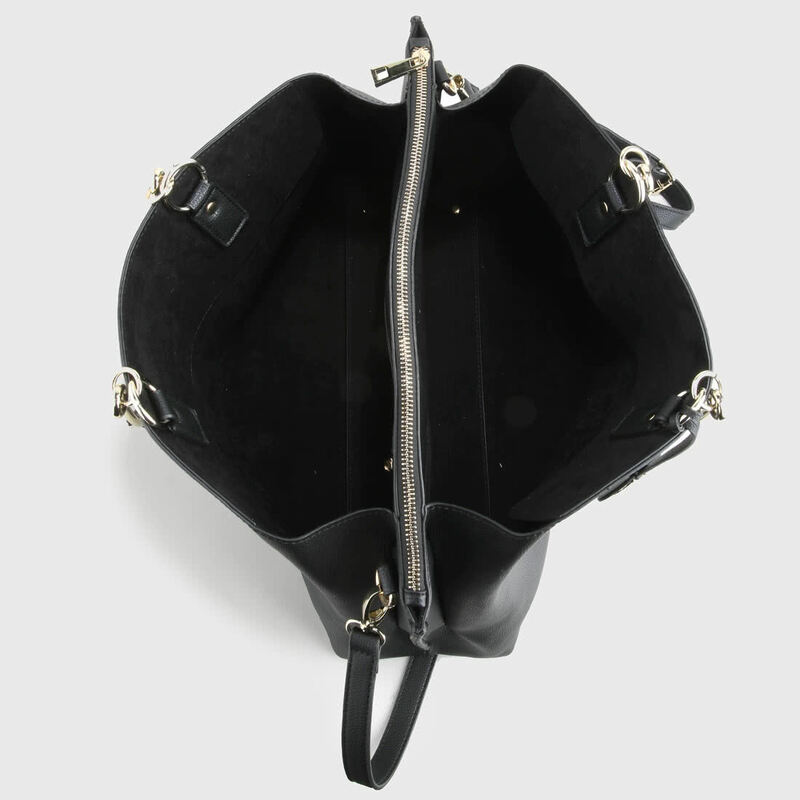 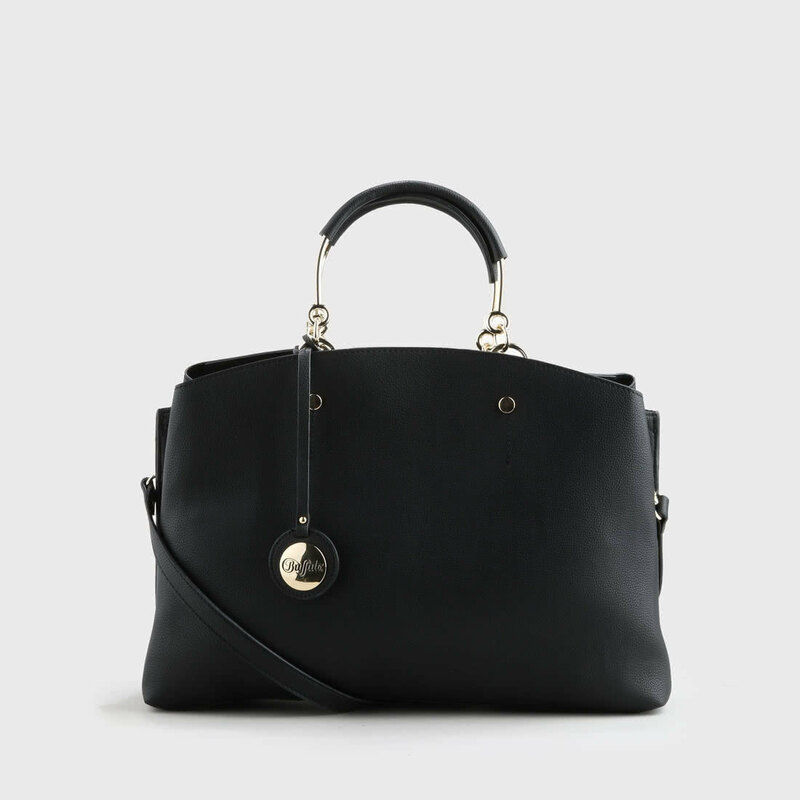 The Carina handbag has everything a business bag should have: a high-quality leather look in black, a long shoulder strap, an inner compartment with zippers and elegant golden hardware. 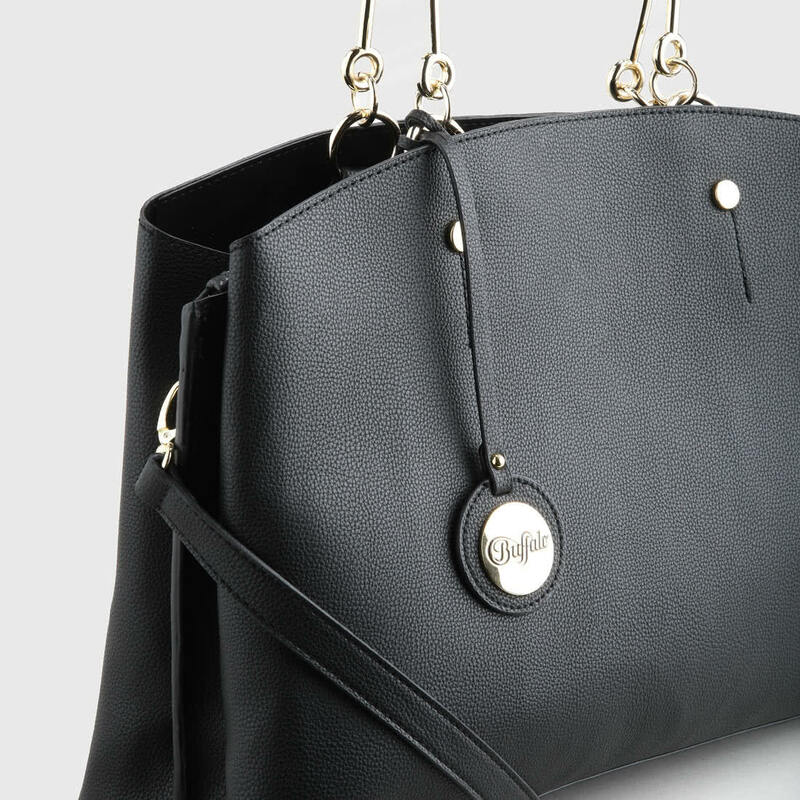 The design is rounded off by a detachable Buffalo Charmed pendant.